I am trying to catch up on a few things that have been sat waiting to be reviewed, posted about and talked about, hence this review and the fact the September one will be hot on it’s heels next week. Okay I decided to start with the negative part of the box, and to be fair it is not a total negative more a case of I am not sure how necessary this is or how practical. 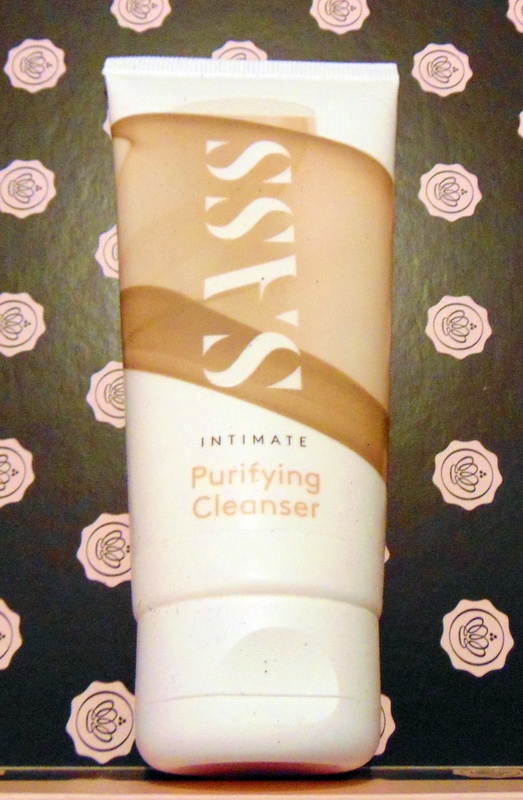 The whole point of the SASS products is they are aimed at the more ‘intimate’ areas of the anatomy, no while I completely understand the previous product I received (the one for after shaving and ingrowing hairs) I am not sure that I would really want to mess about in the shower using normal shower gel on 98% of my body avoiding 2% that I then use this on. Firstly it would be impossible to avoid where those soap suds run and this product is £7 for the full size which is a lot more expensive than many other body washes that make similar claims for all day freshness. This is the one product in this box I can safely say I will not be buying. This is one of those products I see people use on make up tutorials but never saw the point in… until now. Now don’t get me wrong, I would not mess about using this under my normal everyday mascara but for a night out I really get why you use a lash primer now. First it makes the mascara go on better and gives better coverage and secondly it means you do not need as many coats of more expensive mascaras which in the long run saves money. This one is £14.99 and though I am pretty sure you could probably get one cheaper it is a product that will last and prove to be worth its cost in saved mascara. I will definitely be getting a lash primer once I use all this but not sure whether it will be this one or one available via my normal shops I visit. 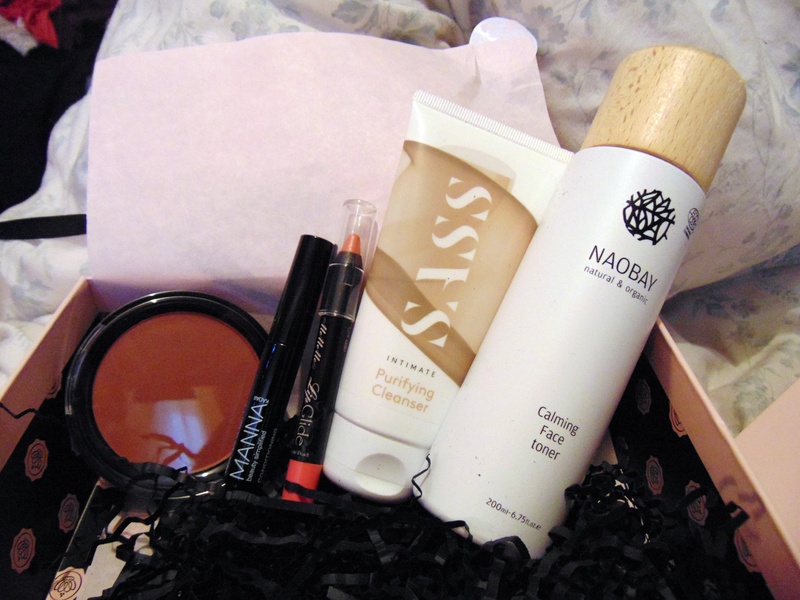 I have to say I am rather falling in love with the Naobay range, I know at £10.65 it is pricey as are the other products but I am really loving them, my skin always feels really good after using them and obviously getting that feeling as you get older gets more difficult. They are available as well through Amazon so that helps keep costs down. I have already added this to my wish list on Amazon and will be ordering once I get low on both this and the facial peel I got previously. The only reason I still have this is my daughter tried to pinch it and forgot she had hidden it from me and I found it after she left. The colour is not one I would normally pick but I do like it and it does not look too bad one me. It applies well and lasts, at £6.95 it is good value for money and though I will probably not buy this shade again I might buy other shades. This was one of the products I was excited about when I first opened the box but it turned out to be better as a bronzer than a blush on my colouring. First you have to be very, very careful, a little goes a long way, plus the slightest touch does loosen lots of powder. 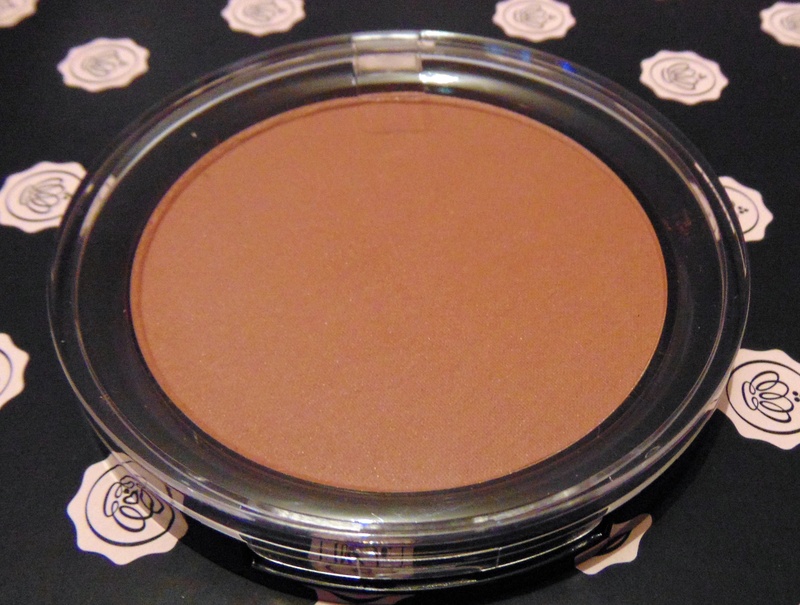 The colour is a little dark and intense for me to use as a blush but works perfectly as a bronzer for contouring. The other issue is the price, £20.59 is pricey and I would be terrified of dropping this product and wasting the whole thing as the packaging does not seem especially sturdy. It is one more for keeping safely at home on the dressing table not in the handbag, and would be a long time before I have to decide if I would buy it again. Ahh, for a playful peach lipstick. 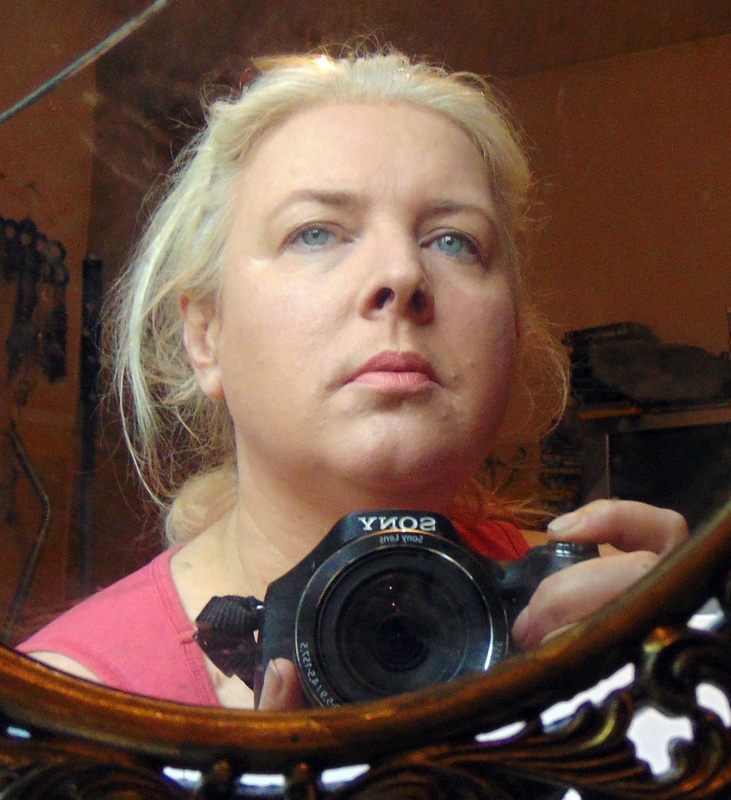 The Birch Box people have sent me TWO bright pink – hot pink I say – bright pink lipsticks that I wouldn’t be caught dead wearing. You would see my lips coming a mile away. I always enjoy your reviews, Paula! Previous A week to my birthday!!!! !